Cyclists are honest people. I certainly am. Like when that Addison Lee cab cut me up in London last Saturday. I told him honestly what I thought of him. And I sincerely meant every word. 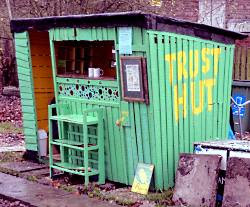 Because there's a 'Trust Hut' (picture), permanently open for passers-by on bikes (and walking dogs) to help themselves to coffee and tea, paying in an honesty box (actually a tube). My honesty wasn't tested in the event, as Patrick and then the owner Ann came out to chat, telling me lots of interesting stuff about the place. It's not the only Trust Hut on Route 65. 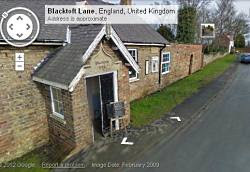 In Blacktoft, a small village on the banks of the Ouse a few miles west of Hull, there's a church hall (picture; see Google map) that's also open for help-yourself tea and coffee with an honesty box, plus a small book stall. 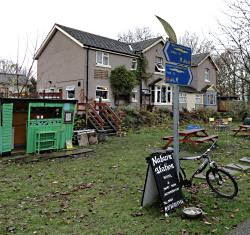 Cycle rides that go through farming areas offer you plenty of produce - usually eggs, often vegetables - laid out on a table with a dish for your change. 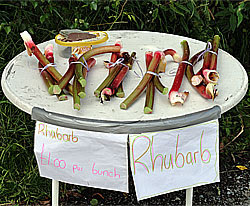 This rhubarb (picture) was just outside Ambleside. At first I thought no, but then I thought, it's rhubarb: force yourself. 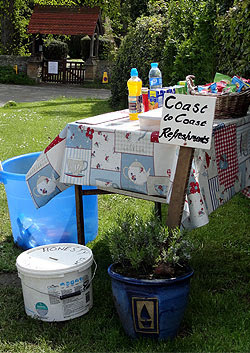 The most lavish honesty stall I've ever seen was on the Wainwright Coast to Coast in the village of Brompton on Swale (picture), which had a range of cold drinks and sandwiches, so maybe walkers are even more honest than cyclists. Or perhaps they just can't get away as fast. Anyway, honesty boxes are a good thing, and a sign of a decent society. I bet that Addison Lee driver would like them, too. He'd take all the rhubarb, sod off without paying, and swear blind to his employers that it was the cyclist's fault. I was in Marrakech the other week. 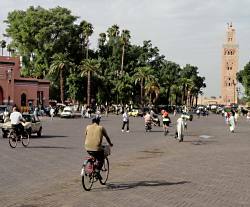 Its central square, Djemaa el Fna (picture), is a good example of a naked street, in much the same way as London's Exhibition Road isn't. There are no road markings at all, just a wide expanse of pavement. 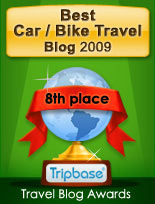 Bikes, horses, mopeds, taxis, buses and cars mingle with sidestepping pedestrians. I was there a week and saw nobody coming to grief, except for some tourists being royally ripped off by the snake charmers. 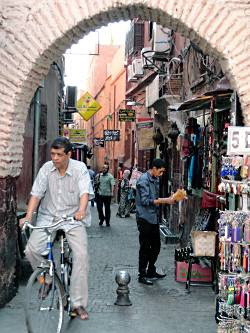 The narrow cobbled side-streets that curl off the square into souks (picture), so intimate they defeat Google Maps as well as most visitors, are a more linear mayhem. 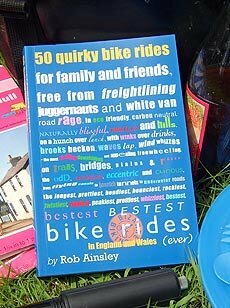 Not too many bikes there - outnumbered nine to one by hurtling mopeds, I'd say, but matched by horses and the odd delivery-van - but there are enough to count (picture). 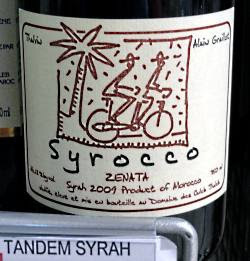 And - while fresh orange juice, not beer, is the drink of choice for people-watching in the square, and only thirty pee per glass - you can find Moroccan wine (picture) if you look hard enough. Not sure you'd get a tandem down those side-streets, though.